HANNIBAL – Hannibal High School’s Entrepreneurship class kicked off its “Business Sharks” Project-Based-Learning Experience by visiting two local businesses. 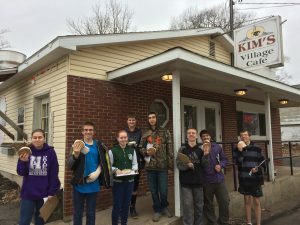 Students at Kim’s Cafe (from left): Jessica, Kristion, Mackenzie, Cameron, Noah, Brent, Ben, Roger. 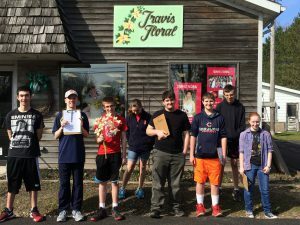 Students visited Travis Floral Shop and Kim’s Cafe prepared with questions in order to investigate how these local businesses got started and how they stay successful. These local business owners not only answered all of the students’ questions, but they donated samples of their products to the students. Brenda from Travis Floral gave each student an orchid from a plant that’s been in her family for 75 years. 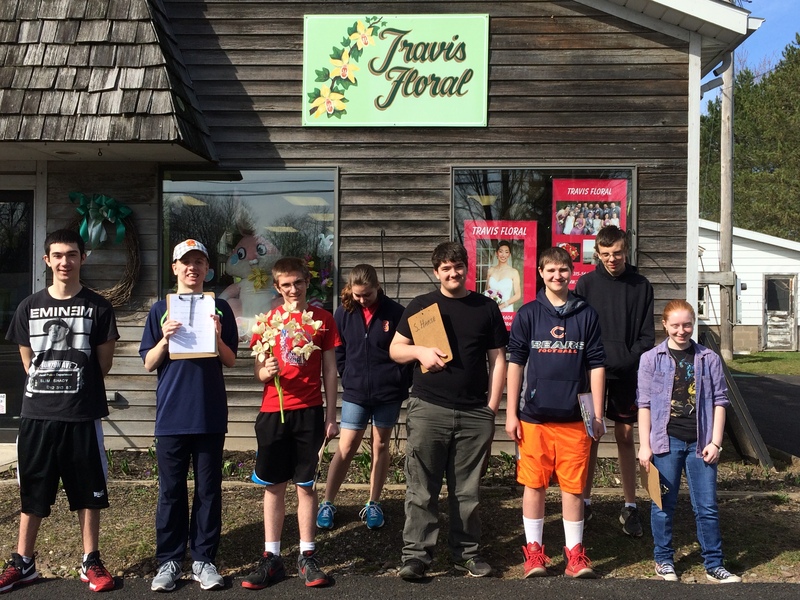 Students at Travis Floral (from left): Noah, Brent, Kristion, Jessica, Ben, Cameron, Roger, Mackenzie. 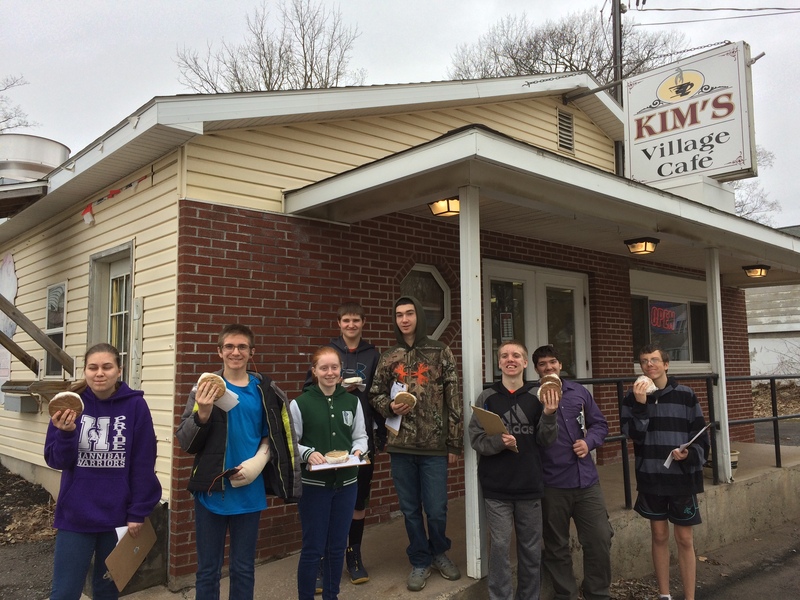 Kim from Kim’s Cafe gave each student a delicious brownie and one of her signature ice cream sandwiches. The class is very appreciative of the time these business owners took to give them real-world advice about owning a business.